One of the primary mechanisms by which sea ice loss is expected to affect polar bears is via reduced body condition and growth resulting from reduced access to prey. To date, negative effects of sea ice loss have been documented for two of 19 recognized populations. 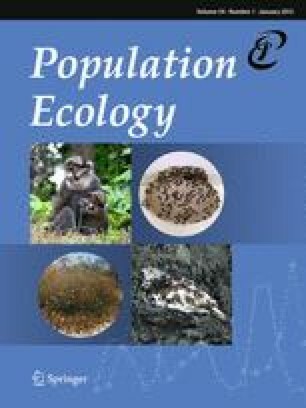 Effects of sea ice loss on other polar bear populations that differ in harvest rate, population density, and/or feeding ecology have been assumed, but empirical support, especially quantitative data on population size, demography, and/or body condition spanning two or more decades, have been lacking. We examined trends in body condition metrics of captured bears and relationships with summertime ice concentration between 1977 and 2010 for the Baffin Bay (BB) and Davis Strait (DS) polar bear populations. Polar bears in these regions occupy areas with annual sea ice that has decreased markedly starting in the 1990s. Despite differences in harvest rate, population density, sea ice concentration, and prey base, polar bears in both populations exhibited positive relationships between body condition and summertime sea ice cover during the recent period of sea ice decline. Furthermore, females and cubs exhibited relationships with sea ice that were not apparent during the earlier period (1977–1990s) when sea ice loss did not occur. We suggest that declining body condition in BB may be a result of recent declines in sea ice habitat. In DS, high population density and/or sea ice loss, may be responsible for the declines in body condition. An erratum to this article can be found at http://dx.doi.org/10.1007/s10144-012-0304-y. Funding for field work and data collection were provided by the Government of Nunavut (before 1999, the Government of the Northwest Territories), Nunavut Wildlife Management Board, Makivik Corporation, Canadian Polar Continental Shelf Project, Government of Newfoundland and Labrador, Canadian Wildlife Service, The Danish Ministry of the Environment, the Greenland Institute of Natural Resources, and the University of Oslo. Funding for data analysis was provided by the Government of Nunavut and the US Fish and Wildlife Service. The findings and conclusions in this article are those of the authors and do not necessarily represent the views of the US Fish and Wildlife Service or The Danish Ministry of the Environment. See Tables 4, 5, 6, 7, 8 and 9.